Modern elegant and comfortable accommodation with conference room. 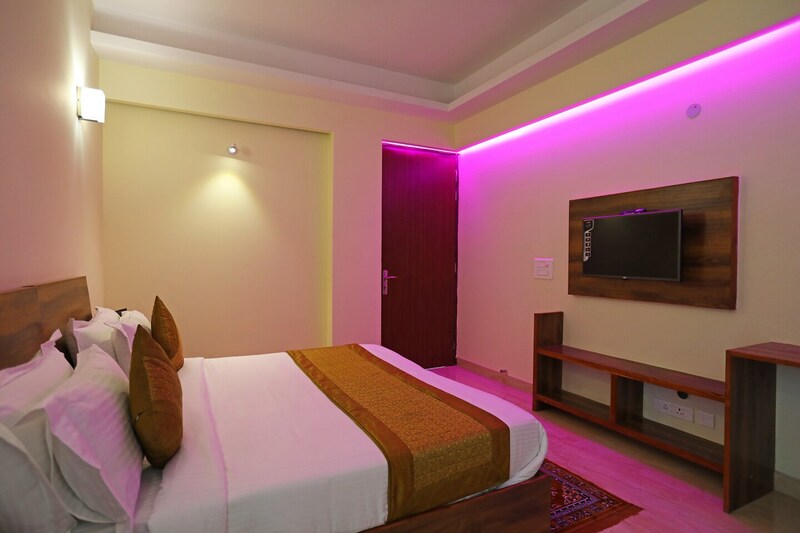 Hotel Green Residency is a classy and modern hotel situated near Cyber Park Bus Stop, Unitech Uniworld Tower Bus Stop and Huda City Centre Metro Station. Sai Ka Angan and Purana Qila are located an hours drive away. This hotel houses a conference room and has every facility for meeting your business needs. The focal point of the hotel is the statement lighting along the walls giving it a modern and elegant look. Free WiFi, TV and AC are provided in the room. Power backup and 24X7 security are available. Dunkin' Donuts, KB2, Tandoori Trumpets, and InnerChef are also eateries located nearby.